Getting your first sale or your first customer is very important for every entrepreneur. But marketing a new business can take great time and effort especially with thousands of tactics and ways of promoting one these days. This is a common problem among new beginners. Even more problematic for those who already have a store set up but still struggling to make a sale. This is why I have put together a list of result yielding marketing strategies to help new and existing entrepreneurs revamp their marketing effort, drive insane traffic to their store and make their first sale in 30 days. I called this getting your first sale in 30 days: the Samurai way not in a sword-wielding fashion like the skilled dude in the picture above. But in a quick and sharp focused way just as the image portrays. With that said, I will strongly suggest that you focus all your attention on how to drive traffic to your store from now and worry less about perfecting your design. From my findings, 75% of all new store owners do worry about perfection. These include tweaking and designing their store to look the best. There are numerous details one can easily get caught up in which can easily cause significant derailment from the main objective 0f making sales from your online store as soon as possible. The truth is, you will never know what is out there which that fits or works with your store or product until you start exposing your business to the world. With traffic, you can determine what price is best served for your goods. With traffic, you can actually relate to your market audience and better understand them. Connect all your sales channels to your Shopify business and add any available sales Channels. This will enable you to reach out to a wider audience. Be sure to add a custom domain to your store. It doesn’t matter if it was purchased from Shopify or somewhere else. Be sure to double check your checkout Payment Gateway setting. The best way is to place an order by yourself and see how it works through to check out and refunds. Check your email notifications and make sure that the auto reminder for an incomplete transaction is working. Make sure all grammar and spelling are mistakes free on your contents. Add contact method for your customers to reach you easily. Go for the only app that you need and are essential to your store functionalities. Make sure your billing information is well set up. Moving forward, you have to always check and see what is selling and what is not and optimize. Make sure you use tools like Google Analytic to keep a tap on these trends. For the sake of clarity, I will make these strategies available as a list or checklist if you want. This way you have a better chance of implementing them in the next 30 days and if you do, you will surely make a sale on or before then. Now I must emphasize here that these strategies will not work if you rely only on reading it and doing nothing about using it. It will require your effort and time. I personally used some of these methods on one of my affiliate program and I got a result within few weeks. Before I digress, below are the list of Free Traffic Source you can start exploring immediately to expose your online store. Offline traffic is something you cannot walk away from when you have an online store set up. This method is easily overlooked by many entrepreneurs. 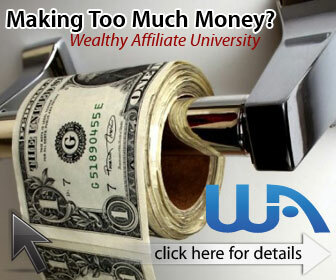 I remember the first time I attended one of these affiliate seminars near my city I had no idea what to expect. In the end, it was a group of professionals coming together to connect and share ideas and aspirations. As well as finding new ways to improve affiliate marketing. Offline marketing feels exactly the same way. You never know what is out there until you start taking action in reaching out to people. Arm yourself with your complimentary cards. Make sure your card contains all your contact details as well as your online profile like your website and email. Offer people a discount on your store when you interact. Tell your friend and family to check it out. Connect with a friend who has access to the printing press for a free flyer and makes sure that it goes around your city or locality. Get involved with a local business community in your area. If you can’t find one check with your city Chamber of Commerce for updates. By sharing a link to your store in an online forum and communities your market audience frequent could do you a lot. Even better if you are already a member. A lot of entrepreneurs underestimate the fact that putting a link or two to your site can make a lot of difference. Quora where lots of folks ask questions relating to anything and so could you. I am a current member and I actually got a congratulation letter from them for best answers to questions. It is a great place to get instant feedback . Inbound: This is like Quora with a little twist. You have to be a member as well and you will need to contribute before you can share. The great here is you can also place you store link strategically on your contributions to other people thought. Only be sure it is relevant. Not Spamming. Reddit: Just like Quora and Inbound, this is another powerful place to get good traction back to your store. Again you have to be a member and you will need to contribute to others comment a lot before you can summit article. The rules are very strict but when done right can be a goldmine of traffic back to your store. r/Entrepreneur: This can be found within Reddit groups and it is a point blank made up of online store entrepreneurs. You can let your social medial followers on Facebook, twitter, Linkedln, Instagram, etc know about your online store. You can also email close friends and relatives directly after you launch. Asking them to help you share the link to your store on their social media networks. You may also want to check out which social media has the best growth potentials here. This will also give you a good idea of where the future of social media is heading towards to. I will recommend joining groups that resonates with your niche product. Especially if it is narrowed down a bit more closer to your niche for example: If your store sells towels then i will say join a group that talks about hotels ratings and international resorts. You can find lots of forum on eCommerce topic that are good fertile ground for organic traffic and follow their rules right. Shopify forum can easily be found on Facebook and is a great place to get connected and gain insightful ideas from big players. A lot of questions are been asked on this forum everyday and lots of great answers are provided by experts or someone who has just gone through a similar situation like you. Also, there is Shopify build a bigger business competition going on you can get involved with right now. The team behind it does this every year but this time it is even bigger. You can read this article about it here and see if you qualifies to get involved. My recommendation here is to get involved, be active, share and like content or post from other forum members and do contribute positively. If done right, you will see steady traffic coming to your store from those who like your contributions. Do remember that when ever they like or share your content, it shows on their status. This translates to more traffic for you when their friends click on the link. Shopify do have their own blog with massive followers and readers. In fact, there is a post on this very topic as well on their blog which dealt with various other topic I may have not covered here. Shopify blog is constantly updated as well and it is a great place to find out what it trending on eCommerce industry as well. My recommendation is to do a wider search and extend your information gathering technique to other similar sites and blogs. For example, there is an insightful review of Shopify on this site that reveals quit a lot from a user perspective. Do not overload yourself with information. Set a plan and follow it one step at a time with a decision. And always take action towards your goal. Do not procrastinate. 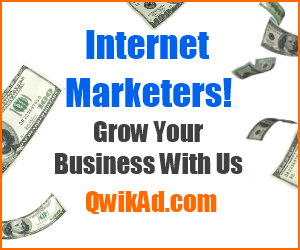 Paid advertising is in fact the only quickest way to get results into your online store. This can come in form of quick traffic and possible sales, feedback and your customers reaction. At some point, you have to spend at least a little amount on PPC. Organic traffic from search engine is the holy grail of success in online business but such traffic takes time. Therefore the only way to get action into your store is by paying for traffic on Google Ad or Bing Ad. You are in control of your traffic because you are paying for it. You can target any keyword without worrying about search engine algorithms. You can stop, pause or enable your adverts anytime. You can chose how you pay and any budget that suits you. Two main platform to consider for your PPC are Google Ad which has 75% of the market share and Bing Ad which has 25%. Even such a percentage is still a huge market with tons of traffic on its own and I will start with Bing Ad if I am in the position of a new store owner. From my experience, the quickest and surest way to make your first sale in 30 days is by investing a little on Pay Per Click marketing tactics. This is because, you are in control of your traffic. You are paying for it. So you can direct it to any page you want on your store without worrying about algorithm or Google panda as the case may be.